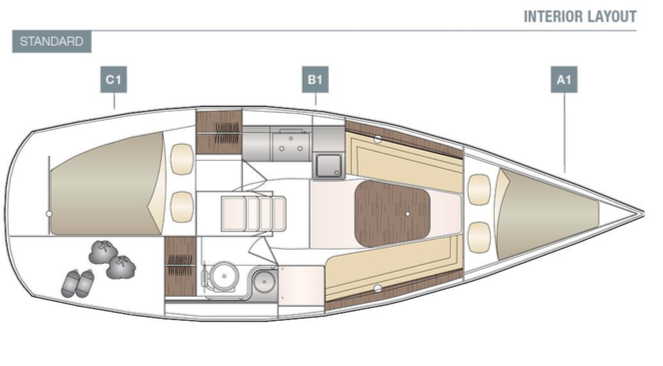 Dehler 29 was conceived as a sports boat. The Dehler 29 was conceived as a sportive, family-friendly and regatta-ready boat. We expected it to look good, run speedy and be easy to handle by a single person. Its success has proven we were right. The Dehler 29 is becoming a favourite among beginners and small families – at the same time, it helps professionals win international championships. Below deck, we refrained from subdividing the space too much and preferred a generously-sized room from the companion- way to the bow.